Thomas: Hello and welcome to another edition of the Shrunken Head Review. This week we will be looking at the new Scream movie. What did you guys think? Smith: Remember when I defended Cursed? Thomas: Not really, but go ahead. Smith: I can't defend this. Thomas: Harsh. Jeffrey, how do you feel about it? Jeffrey: I don't think it was a bad movie actually. Thomas: So you liked it than? Jeffrey: Lord no. I think there are greater crimes committed here than making a bad movie. Smith: Such as continuing with a franchise that had 1 1/2 good movies. Or subjecting us to the same plodding characters again! Thomas: You do remember that horror movies are our bread and butter here right? That's kind of the standard. Jeffrey: Oh ignore him, he's hated it ever since they killed Randy in the second film. Not to mention his ungrounded hatred for David Arquette. Smith: Ungrounded? You know what he did. Thomas: Ignoring, ignoring, ignoring... So than what did you have against the film Jeffrey? Jeffrey: There was a great build up, ample time to craft something excellent, and a pretty great cast. It should have been a great movie. Instead it was just... bland. It wasn't a bad movie, it just wasn't great. After this many years in between sequels, it needed to be great. Instead I left the theater wondering why they'd bothered. Thomas: That's valid. The film was far from perfect. Though I did enjoy quite a bit of it. Jeffrey: Oh, I'm not saying there aren't enjoyable moments. It's just carrying with it too much recycled baggage. Smith: I'm saying there aren't any enjoyable moments. The film was a colossal waste of time. I mean sure there was plenty of eye candy, but that's just not enough. Jeffrey: Not to mention Arquette, right? 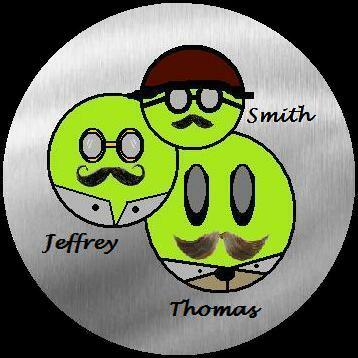 Smith: I don't have anything against him as an actor, Jeffrey. Unlike you, I am professional. I can separate my personal history with him from the actor. Jeffrey: Too bad you can't separate it from your imagination. Smith: It is not imagined! Thomas: Calm please. What'd you think of the acting? Jeffrey: As I said, good cast. There weren't any problems as far as acting goes. The returning members especially seemed to slip back into their characters like old comfortable sweaters. Thomas: Trademark humor we've become accustomed to in these movies? Jeffrey: Standard Kevin Williamson script. It's his bread and butter. Plus, Wes Craven... Humor is almost always a guarantee. Not to mention David Arquette. You know he's a comedy genius. Jeffrey: And from what I hear, the nicest guy as well. Thomas: [Sigh] Do I even want to know? Jeffrey: Smithy here is convinced that David Arquette ripped off a screenplay he was writing. Thomas: I didn't even realize Arquette had written anything. Smith: He co-wrote The Tripper, a film that mocks me in its very existence. Thomas: Not ringing any bells. Jeffrey: It's a crappy horror film that if someone had ripped off from me I'd be too embarrassed to say anything. Smith: My vision is a work of art! That low down stealing rat killed it. I still don't know how he got a hold of it. Jeffrey: I'm sure you'll come up with something. Smith: I didn't make it up! Jeffrey: You know, I'm actually kind of tired. I think I'll call it an early night. Smithy, tell me a bedtime story. The one about how the bad man stole your screenplay. Smith: I refuse to rise to your bait. Thomas: It's clear we're not going to get anywhere with this, so I might as well stop here. For my part I've always loved the series and looked forward to it since the last one ended. While I admit it's not a great movie, it was nice to revisit the characters. It's not brilliant, but it has some fun moments, and really that's about the most one could have asked from it. If only they'd shut up about the 'rules' for minute. Any last thing you guys would like to add? Smith: I wish you were still alive so I could kill you.